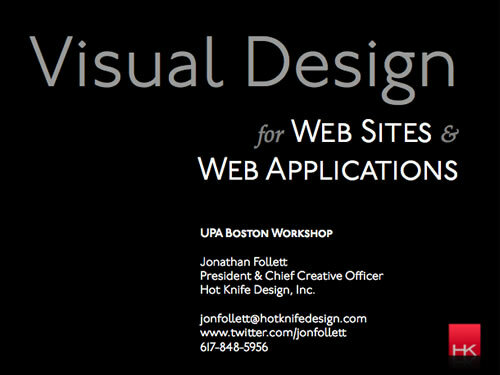 A slideshow for the Usability Professionals Association workshop, Boston Chapter at Bentley College. It covers the basic visual design elements used in creating Web sites and Web application designs including typography, grids, color, and icons. By Jonathan Follett.